What’s the mistake? 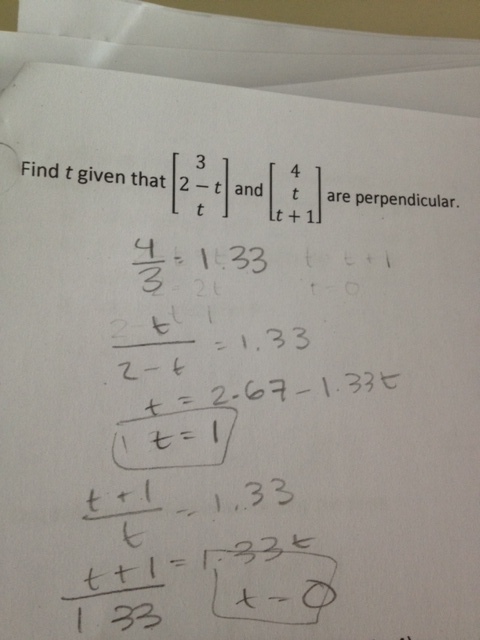 Why did the student make this mistake, in particular? Thanks again to the tweeting and blogging Kate Nowak for this submission. Posted in Vector and Matrix Quantities, Vectors and Matrices.